As perfect a definition of a Hong Kong film as you’ll find, IRON MONKEY is one of the most enjoyable martial arts flicks of the early nineties not starring a guy named Jet or Jackie. Directed by Yuen Woo-Ping, produced by Tsui Hark and starring Yu Rong-Guang and Donnie Yen before he officially became DONNNNNIEEEE. Sadly, the arrival of the super elegant overproduced martial arts epic has made the chances of more movies like IRON MONKEY very rare. That’s another reason why we should cherish this one. Lee Rankin calls FIST OF LEGEND “simply one of the best martial arts movies ever made,” and enough people agreed to get the film into the Top 20. This remake of Bruce Lee’s classic FIST OF FURY casts Jet Li in the Chen Zhen role, and gives him ample opportunity to own others - either one-on-one or one-on-many - and the destruction he wreaks is powerful, impressive, and sometimes more than a little unfair. Gordon Chan directs, but really, this is Jet Li and Yuen Woo-Ping’s show. This layered laffer finds Stephen Chow as Wan Tin-Sau, a dense actor whose dedication to his craft is both a curse and a blessing. Struggling to win respect or even jobs, he finds purpose when he trains a young prostitute how to act more “professional”. At one point she beats him up with a folding stool. LoveHKFilm reader Charles calls KING OF COMEDY “Stephen Chow’s masterpiece - a movie about movies that plays with genres as often as he (the director) plays with the audience.” The film also introduced audiences to some actress named Cecilia Cheung - which makes it more or less essential viewing for any Hong Kong Cinema fan. The late Barry Long saw Wong Kar-Wai’s ASHES OF TIME during its theatrical run in 1994, and his reaction was, “I have no idea what’s going on, but this movie rocks!” ASHES OF TIME was ahead of its time, but also a product of its times. The bombastic synthesizer soundtrack and over-stylized fight sequences confirm the film’s nineties-era origins, but putting postmodern existentialism into a film based on a classic martial arts novel? That’s something audiences weren’t ready for. Fifteen years later, after the failure of THE BLADE and the success of CROUCHING TIGER, HIDDEN DRAGON and HERO? ASHES OF TIME can be called what it is: a masterpiece. LoveHKFilm reader Garvin says that A CHINESE ODYSSEY is “the ultimate Hong Kong movie. A great blend of everything you would expect — mo lei tau comedy, crazy action, and surprisingly deep, heart-breaking drama (yes, really!). All capped off with a great performance from Stephen Chow, maybe his best ever.” Garvin is right on the acting. Just check out the final scene of Part II, where Stephen Chow plays two characters, the mortal Joker and the the immortal Monkey King. They’re the same guy at different times in their life, and Chow sells it through the light in his eyes and not just the Monkey make-up. Jeff Lau’s comedies are sometimes too smart for their own good, but the CHINESE ODYSSEY films mix low brow shenanigans, cerebral gags and ardent emotions with delirious, affecting abandon. Ng Man-Tat as Piggy? A cast of females that includes Yammie Nam, Karen Mok, Ada Choi and Athena Chu? Icing. Basically LOVE STORY told Hong Kong-style, C’EST LA VIE, MON CHERI demonstrates how to tell an age-old story in sublime style. Derek Yee’s tearjerker delivers expected emotions, but refuses to narrate or spoonfeed, instead selling situations and subtle growth in characters that we learn to deeply care about. Also, Chris Babida’s music is amazing. Anita Yuen deservedly won her first of two consecutive Best Actress Awards, and the film’s portrait of local Hong Kong culture and clashing classes is as fascinating and affecting as its terminal illness plotline. Yet another classic Hong Kong film that is now hard to find on DVD. Grace Chow says, “The melancholy, suppressed, alienated atmosphere in this movie is painful and familiar at the same time.” HAPPY TOGETHER so deeply enters the emotions and psyches of its protagonists that it easily rises above its dismissive label as “gay cinema”, becoming something universal that can be understood and appreciated by just about anyone. Replace either Leslie Cheung or Tony Leung Chiu-Wai with a female actor and you’d still have an amazing film. 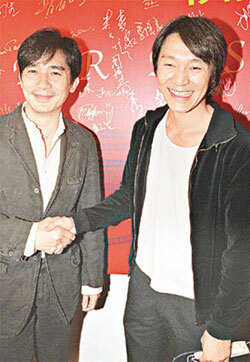 Still, then you’d miss out on seeing probably the most handsome couple in Hong Kong Cinema history. Leung won the acting awards, but Cheung’s performance is the more heartbreaking. 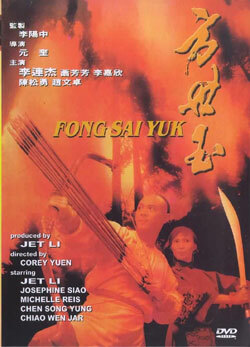 FONG SAI-YUK should be considered one of the finest examples of nineties Hong Kong Cinema. It’s got comedy, switched genders, mistaken identity, chaste romance, and exciting, creative kung-fu action plenty. Like many nineties Hong Kong films, its certainly uneven, but its shifting tones and disparate genres are what makes it a classic. Adam Laidig says, “Every time one of its flaws crops up on screen there’s someone right there to gloss over it with two coats of charm.” Jet Li is one of those someones, but there’s also the beautiful Michelle Reis and the legendary Josephine Siao, who pretty much owns FONG SAI-YUK with her divine comic turn as Fong Sai-Yuk’s too-cool-for-school mom. And Zhao Wen-Zhou as the villain? Awesome. Possibly the most fun movie Jet Li ever made. 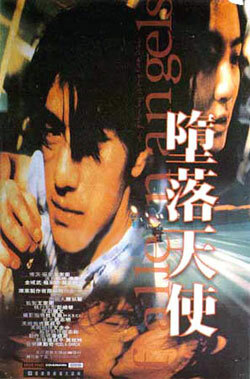 The big winner at the 1996 Hong Kong Film Awards, Peter Chan’s COMRADES, ALMOST A LOVE STORY is easily the Hong Kong romance of the nineties, referencing the city’s romantic history while also touching upon the Chinese diaspora and such nifty ideas as identity, serendipity and predestiny. It’s impossible to talk about COMRADES without talking about Leon Lai, who’s great here, and Maggie Cheung, who’s more than just great — she raises the film to a complete other level. Says reader KL, “Without Maggie Cheung, this is just a good film. 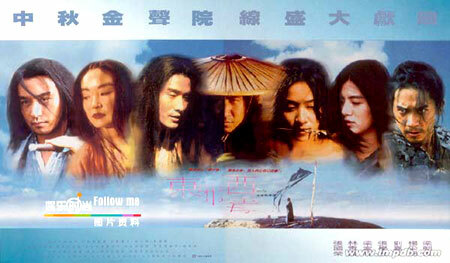 With Maggie Cheung, this is a wonderful film. Her radiant face and heartfelt performance are a real pleasure to behold.” In the 21st century, Chan has busied himself with expanding the financial viability of Hong Kong and Asian film through projects like PERHAPS LOVE, WARLORDS and BODYGUARDS AND ASSASSINS. But wouldn’t it be great if he could make just one more personal romance? If he could coax Maggie Cheung back to the screen for a starring role, it would be the Hong Kong film of that year. Hard to find on DVD now. My copy is in a safe deposit box somewhere. Woohoo, that’s it for the Top 100 Hong Kong Films of the Nineties! Thanks for tuning in everybody! Next time we do this, we’ll do something like the Best Punches to the Face in a Hong Kong Film or maybe Best Hong Kong Films Involving a Fart Joke – you know, something important that shows people what an authority we are on the online Asian Cinema scene. Trust me, it’ll be awesome. Oh whoops, we still have 10 left to go. I’ll figure out what they are by tomorrow. 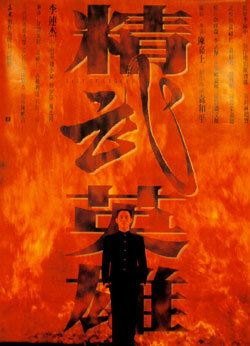 This entry was posted on Sunday, March 21st, 2010 at 1:25 pm	and is filed under Reader Votes, Top Hong Kong Films of the 90s. You can follow any responses to this entry through the RSS 2.0 feed. You can leave a response, or trackback from your own site. Wow. What a list of 10 movies. All great. Such a differences from the 20-11 of the Aughts as wuxia movies were such an impact in the early 90s. It’s a shame everytime I see the summary include “hard to find on DVD” now. Because I really want to re-watch all these films now. More so than I do the movies of the Aughts. Now Wong Kar Wai can put his sunglasses on again. This is my first reply to this fantastic poll, thanks for the WM for creating. I think I know all of the movies in top ten already but It’s difficult to know the actual ranking. However, I guess the top 3 would be 1. the Mission 2. Chungking express 3. Hard boiled. Wow, definitely some upsets here. I thought for sure that half the movies on this list would make the top 10. Seen 2, voted 2… I really need to start ebaying for HK movies. I’m a sucker for lists and this one has been a joy to follow. My pick for the top five would be 1. CHUNGKING EXPRESS 2. HARD BOILED 3. GOD OF COOKERY 4. INFERNAL AFFAIRS 5. SHAOLIN SOCCER. You just can’t argue with the might of Chow Sing-Chi. Oh wait! It’s of the 90’s isn’t it?!? Glad to see C’est La Vie Mon Cheri up there–I was worried it would get lost among all the other HK awesomeness that was the 1990s, especially since it didn’t have any guns, wuxia, martial arts, mo le tau, or Wong Kar-Wai about it. Finally some Wong Kar-wai movies! And more than I expected… So I guess all his movies from the 90s ended up in the top20. Seen all of these great movies and voted for six of them. In total: Seen 74/90 and 12/20 of the movies I voted for are listed. So I guess Jacky is the winner! Wow, Wong kar wai has 3 movies here and it is not his ace movie yet. Sure, he will make into TOP 3. My vote for FIST OF LEGEND is out, so status is 6/10. @Nil. How bout Stephen chow’s ALL FOR THE WINNER in The Top 10? Did anyone vote for it? Aaron Kwok only has 2 movies in the TOP 100. Has anyone seen Johnnie To & Aaron Kwok ‘Barefooted Kids’? @b3n1, ALL FOR THE WINNER already appeared at #48, so it’s done. It could have ranked higher, but I doubt it could have achieved a Top 10 rank because it’s really more of a local hit than an international one. It really took FROM BEIJING WITH LOVE before international fans really got interested in him. I never thought that was much cop. @Kozo. Oh…you are right, I made mistake I thought it could make at least TOP 20. So my vote status should be 7/10. @David. Iron monkey is good. The fighting choreography is excellent. A must watch for any martial art fans. Speaking of Carol Cheng, I really should have voted for “Murder”. What a brilliant movie. Oh well, maybe I’ll vote in the next one.. I expect Chungking Express and Police Story in the top 10. Oh yeah! 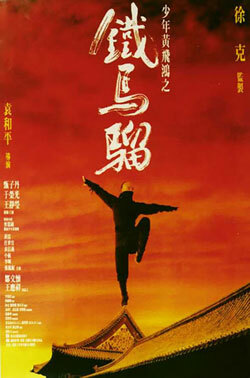 My beloved Fong Sai Yuk, which is my favorite Jet Li movie. @David: Iron Monkey is stupendous! At least the WKW movies I’ve seen are in the top twenty: Fallen Angels and Ashes of Time (Sanjuro made me watch it). Current Stats: 46/90; top 20: 6/10 so far. 13/54/90 - Iron Monkey was one of the best. I don’t know I just don’t like Jet Li. Delighted that Happy Together is part of the top 20 because I didn’t think many people liked the concept. Warming up to Ashes of Time but I think I need to see a couple more times. There is still hope for Days of Being Wild (my #1)!! Fist of Legend only 19 and The Legend, lower?? Ridiculous. Tis atleast top 10, FOL, Iron Monkey and Drunken Master 2 are the best Martial Arts movies of the 90s IMO. @Chan, Police Story is from the 80s. cant believe black mask didn’t make the list…i loved that movie..
Ah, much like others in the talkbacks lately, I keep forgetting this list is about 90’s movies. I only submitted a top 10, 1 was in 30-21 and 3 more here. My list was pretty standard/canonical, so I expect my final 6 to be in the Top 10! Great list by the way. I might take umbrage with some of order, but all in all I think the readership of this site has some great taste. unless i’ve missed something it seems unlikely that bullets over summer will feature in this list?! @anotherlonelyday. BULLET OVER SUMMER has already out at number 51. Yes, I like the movie for its quirk comedy. I didn’t vote for the movie but I thought it could rank higher. @SC. I love FIST OF LEGEND and I voted for it. I guess this movie is for guys. Girls definetely won’t picked this movie. Now, I had a feeling that Jackie Chan’s FIRST STRIKE won’t make into TOP 100 list. I just watched KING OF COMEDY and I have a question someone might be able to answer. IS the character of ‘The Director’, with his outrageous mannerisms, based on a real HK director who acts like that? I’d really like to think so. I’m betting it’s a battle to the death between “Chung King Express” and “The Mission” for number one. Hi valerie, the omission of many great movies can easily be chalked up to access. Strong genre ones with great stars like Francis Ng would easily have been talked about had they been available on DVD, but VCD is usually not enough for fan sites to get excited. The situation is even worse for something like THE MAD PHOENIX, which isn’t on DVD and is patently uninteresting to people who salivate over Johnnie To. Fong Sai Yuk was my number 1 pick. It’s probably my favorite movie of all time. The only fault I have with this film is the scene where Jet Li is fighting Sibelle Hu and the shot where he is knocked off the structure and “narrowly touches the ground”. His foot obviously touches the ground and kicks around some pebbles. Are computers good enough yet where somebody can go in and edit that? Other than that minor gripe, there will never be a time or mood where I won’t watch to watch this film. So could you please please please tell the powers-that-be to remaster Once Upon A Time In Triad Society? I would be grateful to you until my dying day. Wow! This means 4 of my picks made it into the top 5. Wich means Tony Leung kicks Jackie Chan pretty hard. Kozo, How do you decide the points when it is a trilogy? @valerie, sadly my influence with TPTB is nonexistent. Of course, if I did have my way both ONCE UPON A TIME IN TRIAD SOCIETY movies would be up for remaster, along with POM POM AND HOT HOT, IT’S NOW OR NEVER and a zillion other films. @daika, there’s no difference between films in a trilogy and individual films for this vote. They’re all counted as separate films. The only film I made an exception for is CHINESE ODYSSEY, which actually did receive some screenings in a single combined cut. Other stuff, like ONCE UPON A TIME IN CHINA, LEE ROCK, etc., was counted individually. Such great films on this list. Glad that Iron Monkey, Yu Rong-Guang will have a role in the Karate Kid and get exposure to an entire new audience (although some people may recognize him from Shanghai Noon).